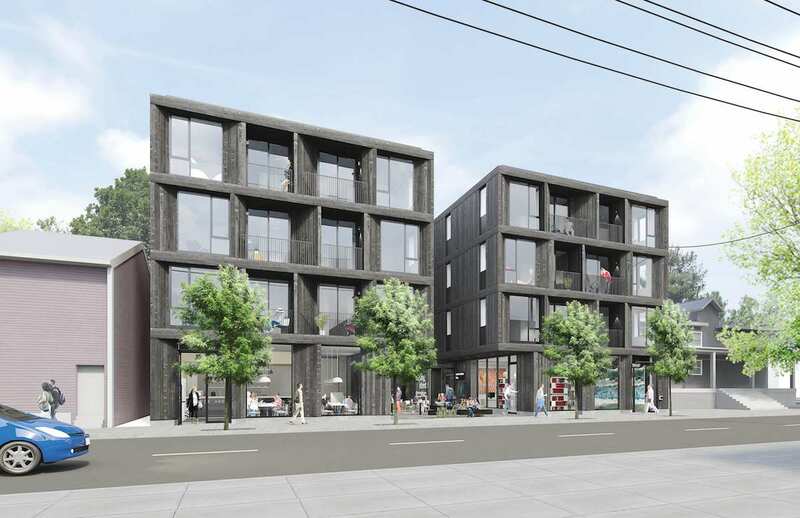 The Design Commission has approved the Abernethy Flats, a 45’-0” tall mixed-use retail and residential building in the Central Eastside. The building by Hacker architects for Urban Asset Advisors will include 34 residential units and 1,800 sq ft of ground floor retail. No vehicular parking is proposed. 54 long term bicycle parking spaces will be provided. 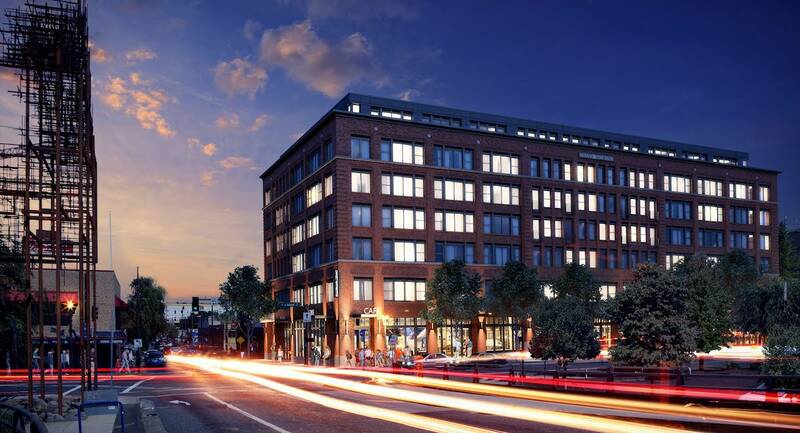 The Historic Landmarks Commission has approved Grand Belmont, a 7 story mixed use building by Ankrom Moisan Architects for developer Urban Asset Advisors. The project will contain 121 residential units and 6,000 sq ft of ground floor retail. At 81′ tall, the building will be dramatically shorter than the 240′ iteration of the design presented to the Commission earlier in the year, and will contain roughly half as many units. Parking for 14 cars and 184 bicycles will be provided. Grand Belmont, the project by Urban Assets Advisors whose height was of significant concern to the Historic Landmarks Commission last year, has returned in front of the Commission as a 23 story point tower. As now proposed the Vallaster Corl designed building would reach 240′ and include 214 residential units. A rooftop common room and exterior terrace are proposed for the top floor. Three ground floor retail spaces totalling 6,500 sq ft would open onto SE Grand Avenue. Parking for 102 vehicles would be provided in the podium portion of the tower. The Design Commission has a approved a mixed use building at NW 19th & Quimby designed by SERA Architects. The project for developer Urban Asset Advisors will include 90 residential units, and approximately 2,100 sq ft of ground floor retail space. Parking for 47 cars will be provided, 34 of them in a mechanized system. Parking for 116 bicycles will be provided, primarily via racks located in the units. A common room and exterior roof terrace for the use of the residents will be provided at the 6th floor. SERA Architects have gone before the Design Commission with plans for a new mixed use building at NW 19th & Quimby. The project by Urban Asset Advisors would include 90 residential units, 2 live/work units at the ground floor and a 1,200 sq ft retail space. Parking for 50 cars would be provided, 34 of them in a mechanized system. Parking for 120 bicycles will be provided, primarily via racks located in the units. A common room and exterior roof terrace for the use of the residents will be provided at the 6th floor. 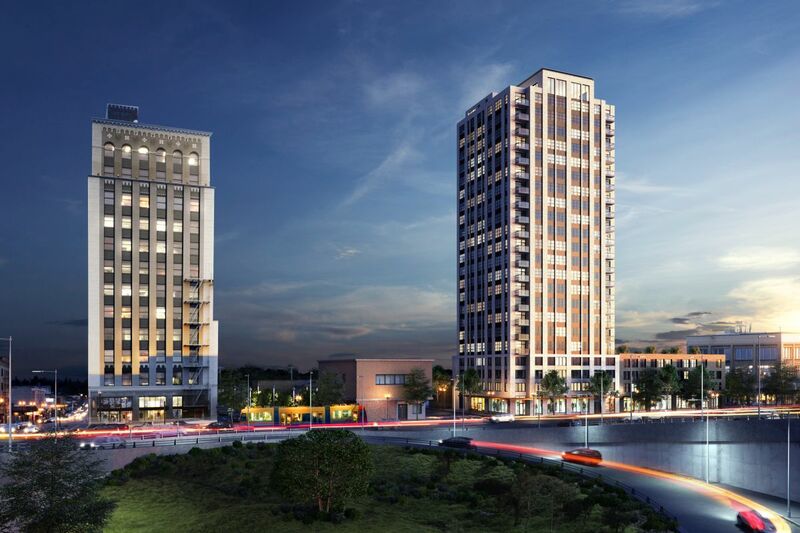 Vallaster Corl Architects and Urban Assets Advisors have returned in front of the Historic Landmarks Commission with revised designs for the Grand Belmont. As proposed at the second Design Advice hearing the project would be one floor shorter than in its previous iteration, and would reach a height of 146′. The project continues to consist of one floor of ground level retails, two floors of parking above, and residential apartments at the upper floors. A rooftop deck and clubroom are proposed for the top floor. 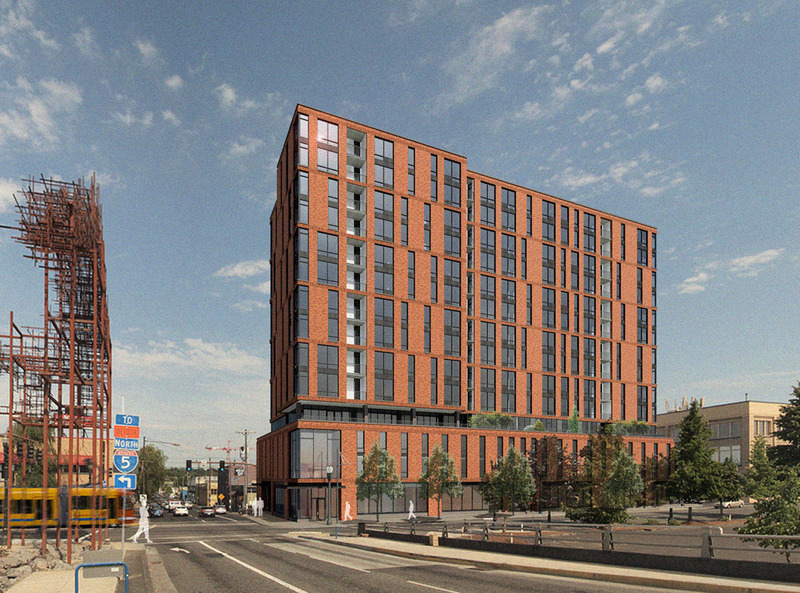 Vallaster Corl Architects have gone before the Historic Landmarks Commission with designs for the Grand Belmont, a 14 story residential tower planned for the Central Eastside. 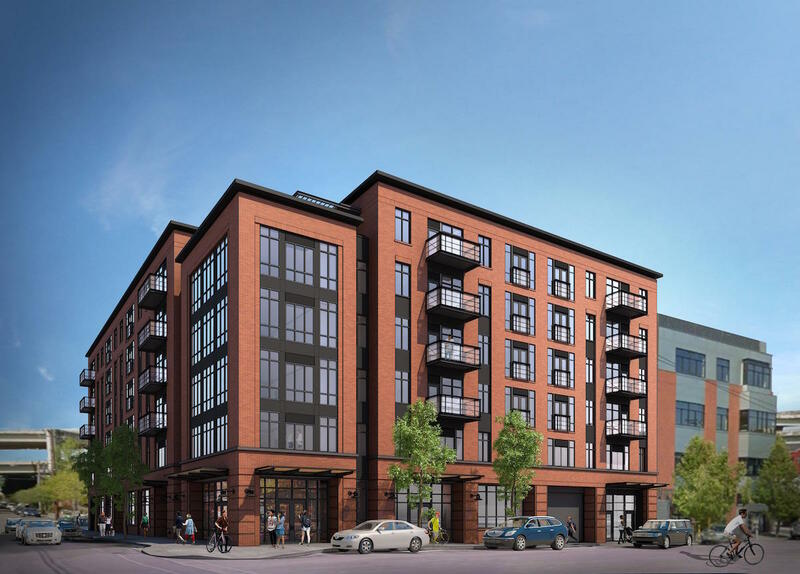 The project by Urban Assets Advisors would include 193 residential units on floors 4-14, with 7,000 sq ft of retail space facing Grand Avenue at the first floor. Floors 2 and 3 would be used for parking, located above grade due to the high water table in the area. A rooftop deck and clubroom are proposed for the top floor. 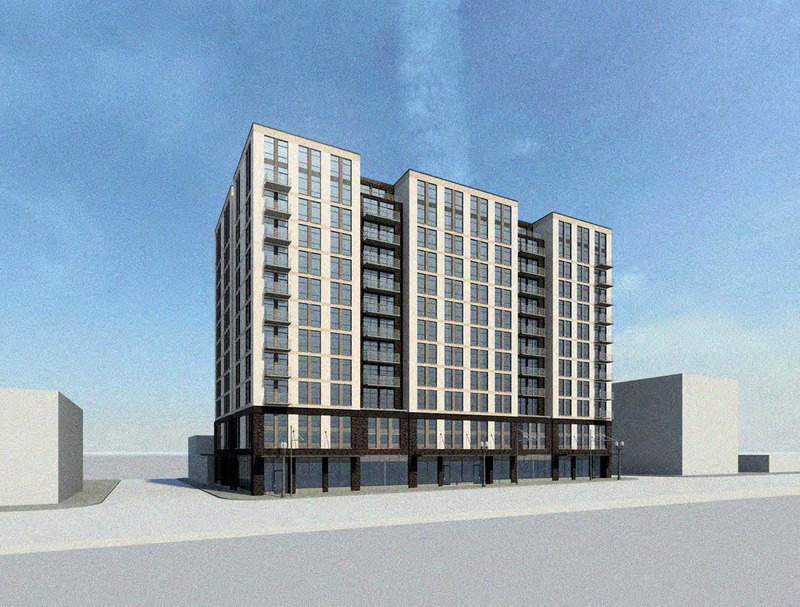 Vallaster Corl Architects have scheduled a Pre-Application conference to discuss a new 15 story residential building at Grand & Belmont. The building by Urban Assets Advisors would include 193 residential units, and 90 vehicular parking stalls on the 2nd and 3rd floors. Ground floor retail would open onto SE Grand Avenue. 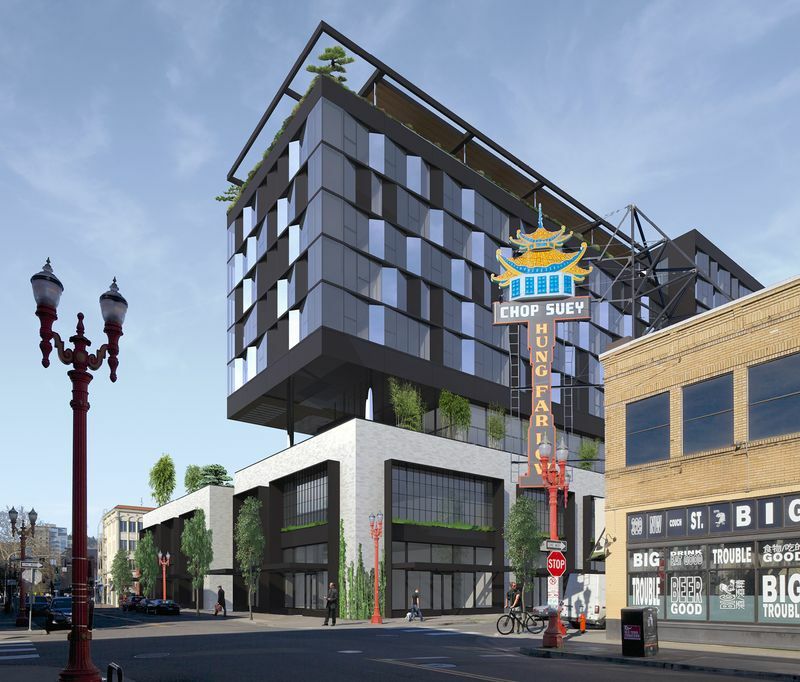 Portland Architecture broke the news of a proposed hotel by William Kaven Architecture on Old Town Chinatown Block 33. At up to 150′ tall, the project will need to wait until zoning changes approved in principle as part of the West Quadrant Plan come into effect. A post on BikePortland said that the time is now to weigh in on the Broadway Corridor / Post Office redevelopment. An online survey at the PDC website will run through July 19th. The Oregonian published details of the proposals received by the PDC for Riverplace Lot 3. 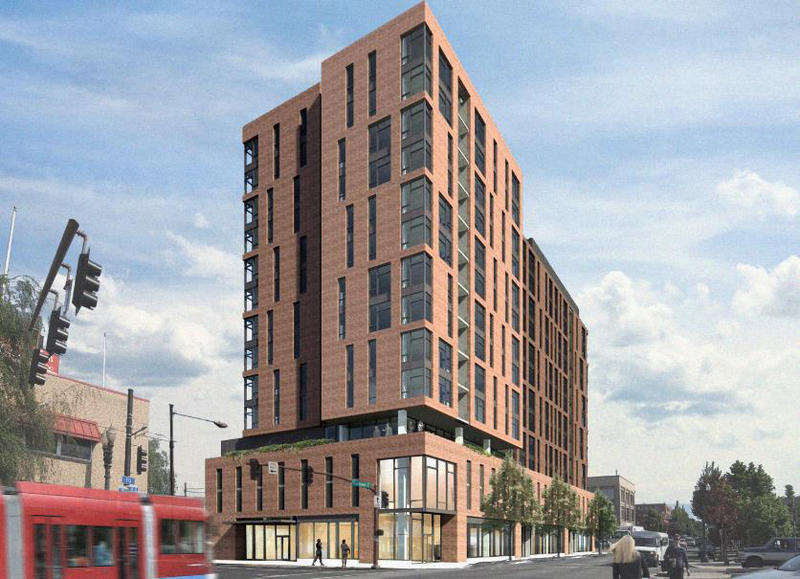 One proposal from Gerding Edlen and REACH CDC would include a 30,000 sq ft grocery store, 200 units of low income housing in one building, and 100 units of workforce housing in another building. Another proposal by Williams & Dame and BRIDGE Housing also includes a grocery store, as well as 162 units of market-rate housing and 203 units of affordable housing. 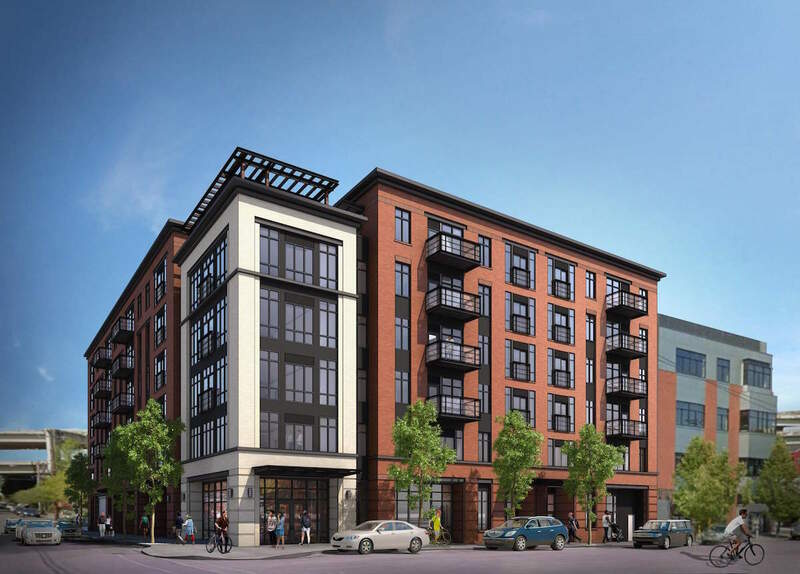 The proposal by Capstone Partners, working with Home Forward and Innovative Housing includes 110 market-rate units and 215 units of affordable housing, as well as a grocery store by Fred Meyer. The Portland Chronicle wrote about the proposed apartments planned for 5134 SE Division St. As noted in the article, a protest was held nearby by the Facebook group Stop Demolishing Portland, with an estimated 40 people in attendance. The Loyal Legion opened this week in the I.O.O.F. Orient Lodge / PPAA Building, with a bar that includes 99 Oregon beers on tap. The Oregonian had a first look at the newly built interior. With the first units now open at Hassalo on Eighth, BikePortland asked whether the Lloyd District might be Portland’s next great bike neighborhood. The City Council held its first hearing on the SE Quadrant Plan. The Oregonian listed 5 things to know about the plan, which guide development in the Central Eastside for the next 20 years. Although no vote was held, Mayor Hales seemed to indicate that he was still weighing how much protection should be given to industrial users. Changes might be coming to how density bonuses are achieved in the Central City. The City Council unanimously voted to direct the Bureau of Planning and Sustainability to bring forward proposals that scrap a number of the existing bonuses. There are currently a diverse number of ways for developer to gain extra floor area or height, including by providing ecoroofs, bike lockers, theaters on Broadway or simply building residential units. Instead, the council wishes for these bonuses to be narrowed to focus on affordable housing. A property at 221 SW Naito Parkway has been sold to an undisclosed buyer. A Design Advice Request was held earlier in the year for a Worldmark by Wyndham. Developer Urban Asset Advisors is planning a mixed use development at 7707 SW Capitol Highway, reports the Portland Chronicle. The building would include 71 residential units with 60 parking spaces, and two retail spaces. 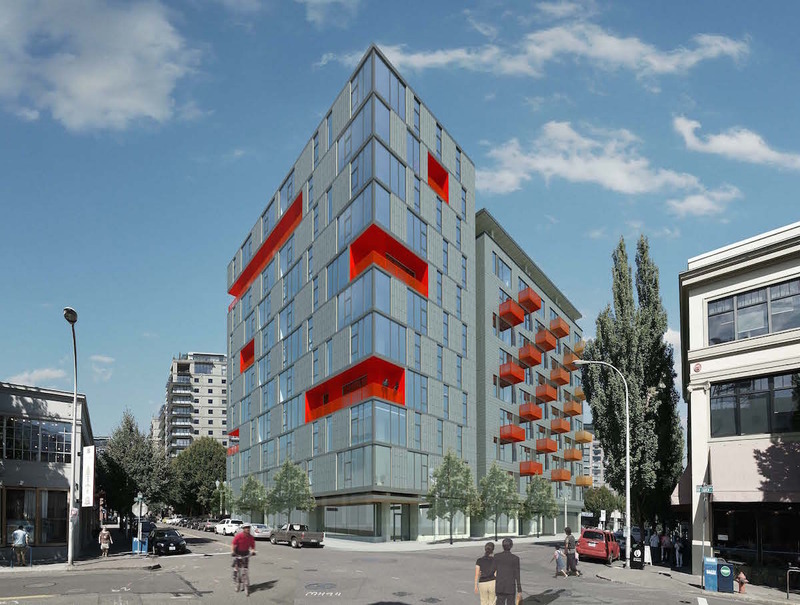 A Design Review is underway for Couch9, an 11 story mixed-use building in the Pearl. The proposed building will contain 137 residential units and 8,000 sq ft of retail in an 126’-8” tall structure. The residential units will be a mix of studios, one, two and three bedroom apartments. A rooftop deck for the common use of residents would be provided at the 11th level, along with an associated clubroom and fitness area. 87 car parking spaces would be located in two underground levels. 242 bicycle parking spaces would be located throughout the building in common storage areas and within the individual units. The project design is by Vallaster Corl Architects for Urban Asset Advisors who previously worked together on the Lower Burnside Lofts.